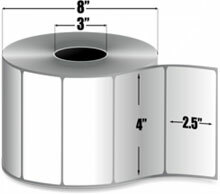 Zebra Z-Select 4000D - 4" x 2.50" Direct thermal paper label. Not perforated. 2,220 labels/roll, 4 roll case. 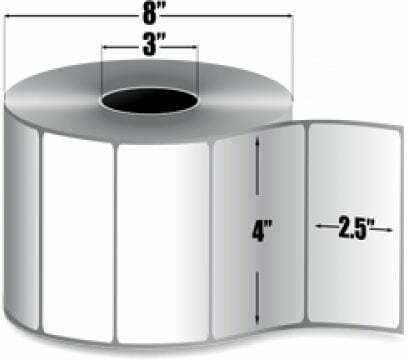 The inner diameter of these rolls is 3.0" and the outer diameter is 8.0"
The Zebra 72344 is also known as ZEB-72344-CASE	.